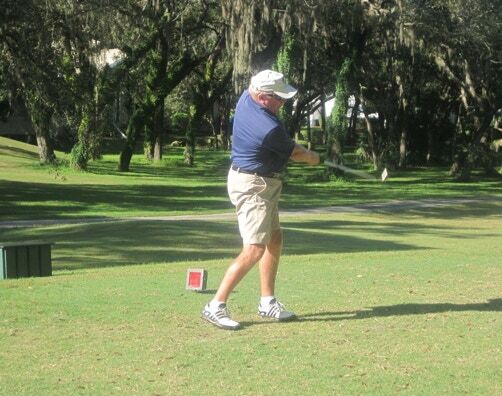 The Citrus County Veterans Foundation extends its heartfelt appreciation to Golf Pro Buddy Shelton, all of the hole sponsors, donors, volunteers and, most importantly the tournament players, who made the 14th Annual Citrus County Veterans Golf Tournament a successful fundraising event for the benefit of our local veterans and their surviving spouse with urgent financial assistance needs. Military Order of the Purple Heart Chapter 776 and the Citrus County Veterans Foundation (CCVF) jointly recognized the Citrus County Tax Collectors Office&apos;s top fundraisers for the 2016 fall campaign that raised $10, 890.86 for the benefit of the CCVF. The Daniel S. Campbell Chapter of the 82d Airborne Division Association made a $600 donation from its recent golf tournament proceeds to the Citrus County Veterans Foundation (CCVF) during its May meeting. Curt Ebitz, CCVF Vice President accepted the donation on behalf of the CCVF. Left front row: Fred Scheu, Ron Hurdel, Mike Marren, Curt Ebitz, Chapter Chairman Marty Kloubec. Left back row: Ray Drewry, Rod Burns, Don Hecht, and Chapter Founder Mel Greene.